KINGSPORT – Ask Durward Setser Drinnon about the key to a long, healthy life and his answer is simple. “Good, clean livin’,” said Kingsport's newest centenarian, who celebrated his 100-year milestone on Friday, Aug. 16. 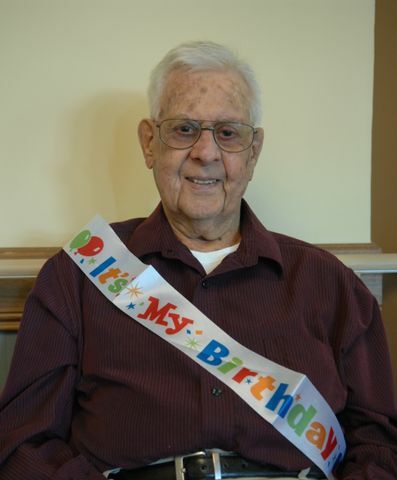 A lifelong resident of Tennessee, Drinnon was joined by family, friends and community members at a party held in his honor at Wellmont Madison House, the region’s only healthcare-affiliated assisted living residence, adult day care center and short-term overnight care program. Drinnon lives at Madison House. After graduation from Hancock County High School at age 17, Drinnon married his high school sweetheart, Nina Lawson Drinnon. The couple's first home was a log cabin in Hancock County, where he drove a gravel truck. They later moved to Kingsport, where he worked first at Holston Defense Corp., then at Dobyns-Taylor Hardware Company Inc. The couple remained happily married for 69 years until Mrs. Drinnon died in 2008. Judy Sanders, Drinnon’s niece, said friends and family were always welcome in the couple's home. Among his closest friends were his fellow congregation members. Drinnon was a longtime member of Kingsport's Fort Robinson Baptist Church, and religion and music have always played a central role in Drinnon's life, family and friends said. “Durward loves to sing and hum gospel songs all day long,” said Sammie Jo Williams, Madison House’s activities director. “He absolutely loves the musical entertainment we have come into our facility. So how has he stayed so active for so long? Drinnon attributes his health to finding fun activities. An avid fisherman and hunter, he has always enjoyed the great outdoors, including gardening at his home and caring for his horses. Now that he resides at Madison House, he still enjoys fishing trips and visits from pet therapy dogs, which frequent the facility every month. 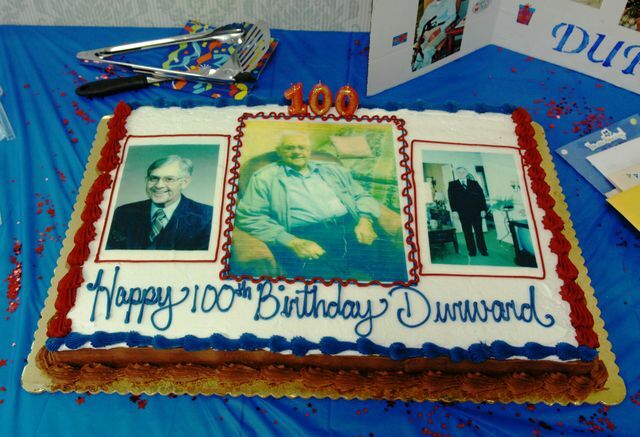 Durward Drinnon celebrated his 100th birthday Friday, Aug. 16. 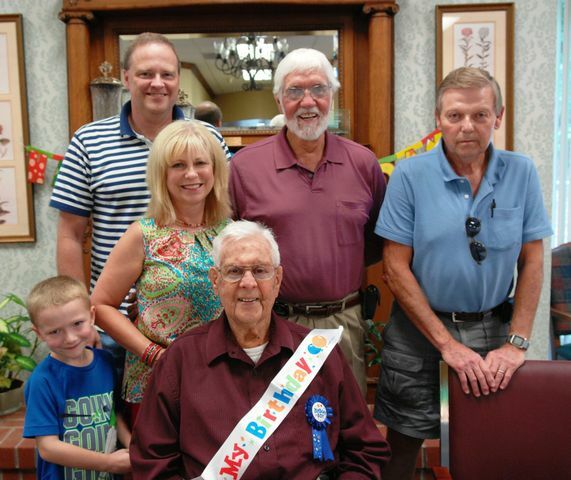 Durward Drinnon, sitting, is surrounded by family at his 100th birthday party. They are, left to right, Jaxson Teague, Greg Teague, Judy Sanders, Michael Sanders and Wendell Seal. A delicious cake was part of Friday's party. 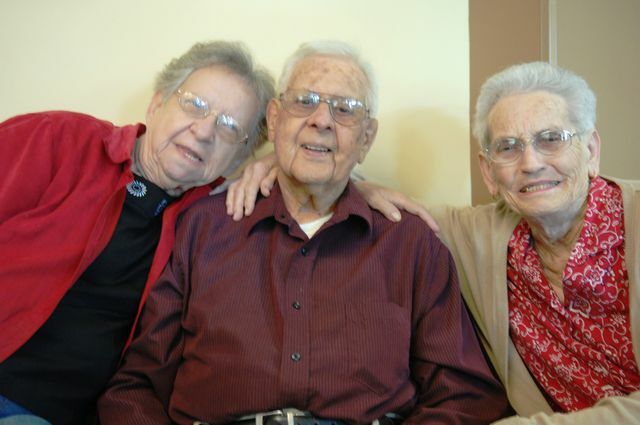 Durward Drinnon, center, is greeted by Betty McGrady, left, and Marie Sparks at his 100th birthday party. 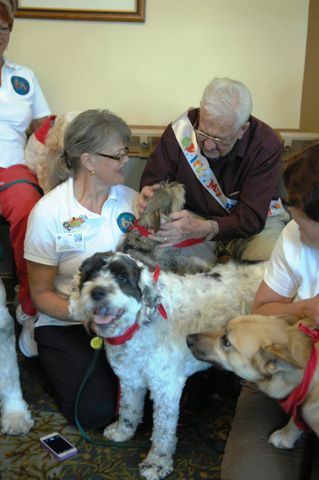 Durward Drinnon greets some pet therapy dogs that came to his 100th birthday party.